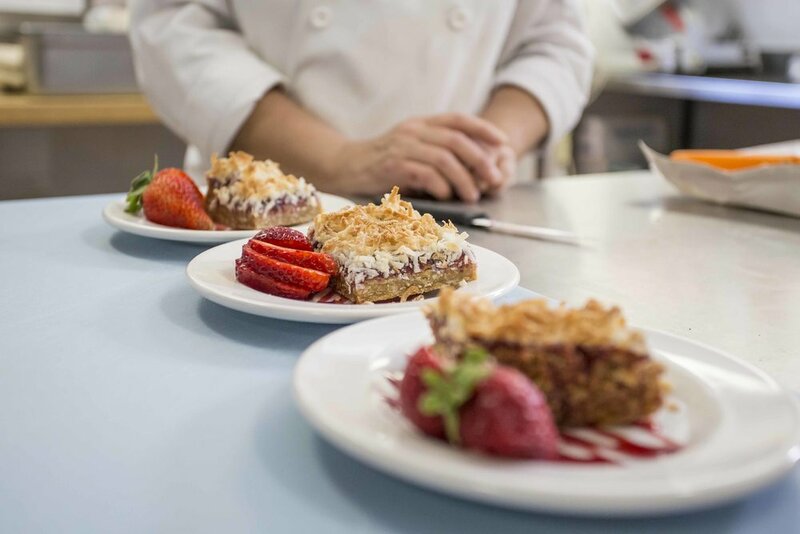 At Queens Avenue, we are dedicated to promoting balance in the lives of our seniors, and we believe that there is no better place to apply the concept of balance than in our dining services. An enjoyable dining experience in the company of great friends in our elegant dining room. As part of our dining program, you will enjoy our meals twice a day with our continental breakfast and our 5-course evening meal where you are given your choice of two delicious entrees. If you prefer not to cook for yourself throughout the day, afternoon refreshments are served daily, and a lunch program is available. To complete the dining experience, meals are served in our stylish and inviting dining room by professional and attentive staff who provide a level of service you may mistake for an upscale restaurant.